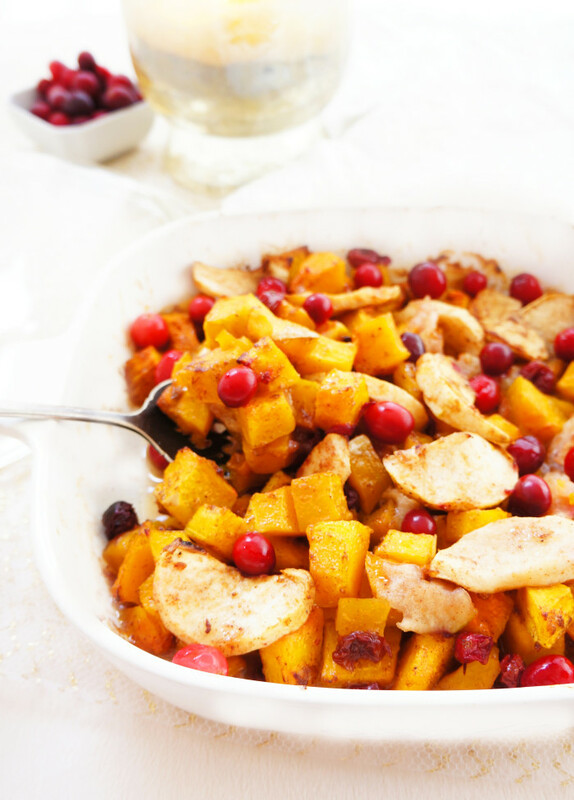 This Squash, Apple & Cranberry Bake is the perfect side dish to serve for any weeknight or holiday meal. It has just the right amount of sweetness and tartness to keep you running back for more! It’s also a vegan option. It’s hard to believe, but several weeks ago was Canadian Thanksgiving. I’m lucky because I got to have a couple of Thanksgiving dinners, one at my husband’s house with his family and one at my house with my family. Both dinners were great of course, but my mother-in-law made this one dish that was absolutely out-of-this-world! It was this Squash, Apple & Cranberry Bake. After taking one bite, I knew that I needed the recipe ASAP. Now, whenever I ask someone for a recipe, they have a tendency to give me this whole guilty confession of all of the not so good-for-you ingredients that are found in the recipe. OR even if I don’t ask for a recipe, people still start to list off to me all of the junk that they ate last night. It’s like an automatic instinct for people when they’re talking to a dietitian to confess these things, like I’m going to punish you or something if you ate a piece of cake. Don’t worry, I totally don’t judge you if your recipes (or your diet) don’t include the perfect healthy components. I indulge in not-so-healthy things on occasion too. 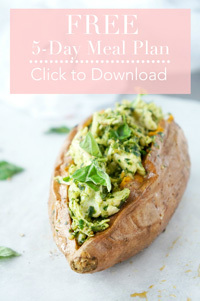 But, when I receive a recipe that could use a little help from a nutrition standpoint, I ALWAYS see it as an opportunity to give the recipe a healthy makeover! So of course, I asked my mother-in-law for the recipe and she did the whole guilty confession thing about all of the sugar and the butter. I made a few modifications, and managed to create a recipe that tasted almost exactly like the original with half the fat and sugar! 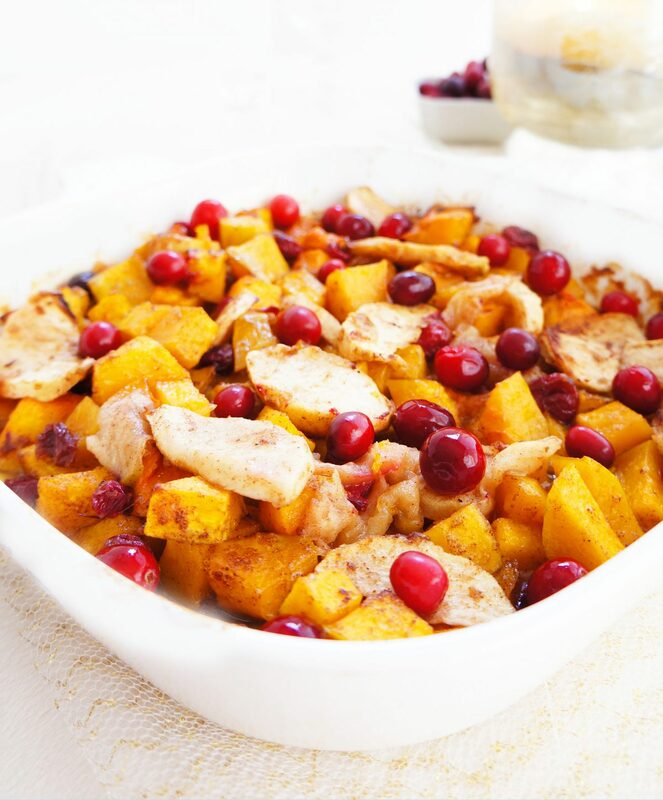 What I love about this Squash, Apple & Cranberry Bake is that it has just the right amount of sweetness from the apples and butternut squash, and tartness from the cranberries. It goes SO well with turkey (like this Stuffed Cranberry & Pistachio Turkey Breast with an Orange Honey Glaze), or whatever else you might be serving up at your Thanksgiving feast! Plus, it’s loaded with Vitamin A and C, fibre and antioxidants! Especially when it tastes amazing too. Preheat oven to 350°F. Peel squash and apples. Dice squash into one inch cubes. Thinly slice the apples. 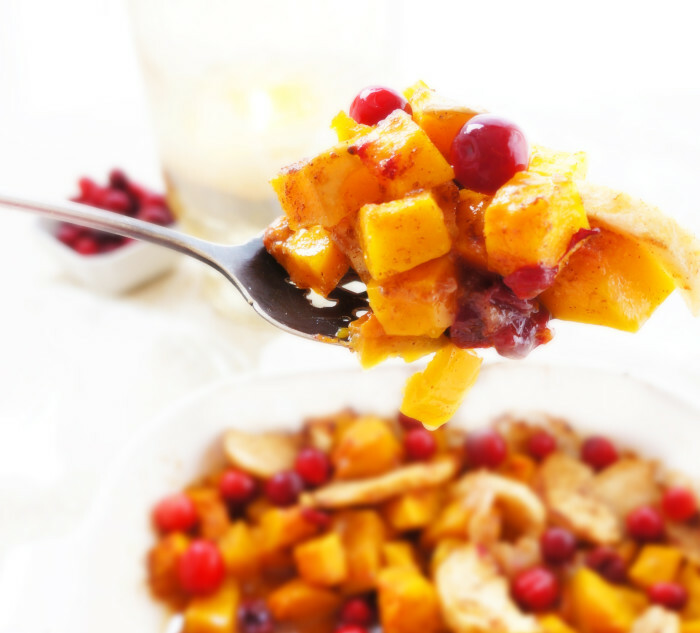 In a medium bowl, mix together squash, apples and cranberries. Pour in maple syrup, coconut oil, flour, salt, nutmeg and cinammon and toss to evenly distribute. Place mixture in ungreased 7x11-inch baking dish. Bake for 25 minutes, and then toss to ensure all components are cooked evenly. Place back in oven, and bake for an additional 25-35 minutes. Oh my goodness!! I love, love, love everything about this dish and can totally see it on my table this year. Perfection! This really is the perfect Thanksgiving side, but I can also see serving it at many other meals. Looks delicious! 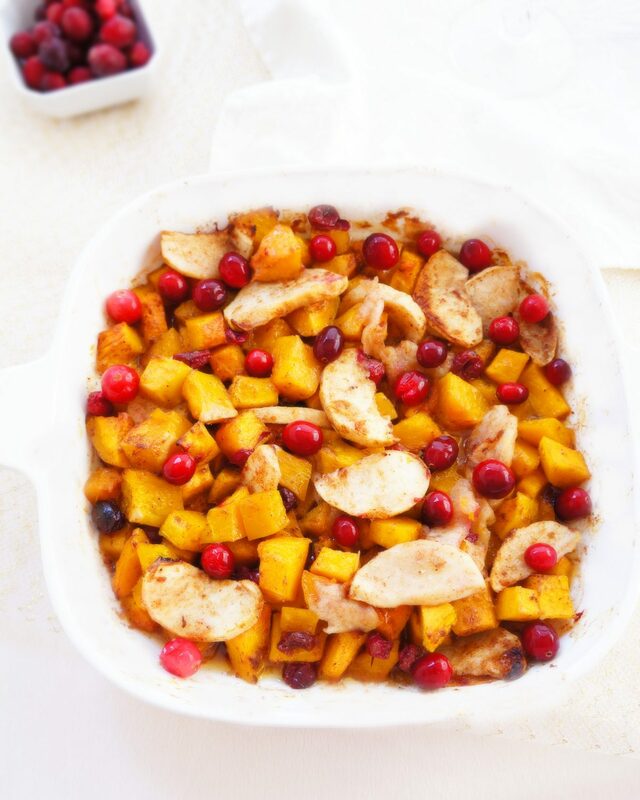 That looks perfect for Thanksgiving– so many wonderful fall flavors in there!